The Clarke Transform block converts the time-domain components of a three-phase system in an abc reference frame to components in a stationary ɑβ0 reference frame. The block can preserve the active and reactive powers with the powers of the system in the abc reference frame by implementing a power invariant version of the Clarke transform. For a balanced system, the zero component is equal to zero. 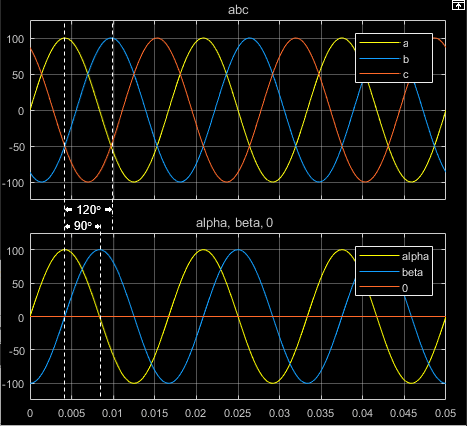 a, b, and c are the components of the three-phase system in the abc reference frame. 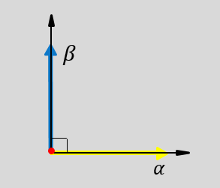 α and β are the components of the two-axis system in the stationary reference frame. 0 is the zero component of the two-axis system in the stationary reference frame. Components of the three-phase system in the abc reference frame. 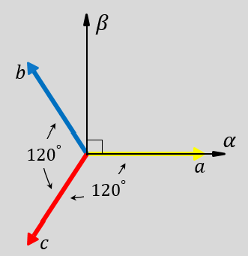 Alpha-axis component,α, beta-axis component β, and zero component in the stationary reference frame. Preserve the active and reactive power of the system in the abc reference frame. Krause, P., O. Wasynczuk, S. D. Sudhoff, and S. Pekarek. 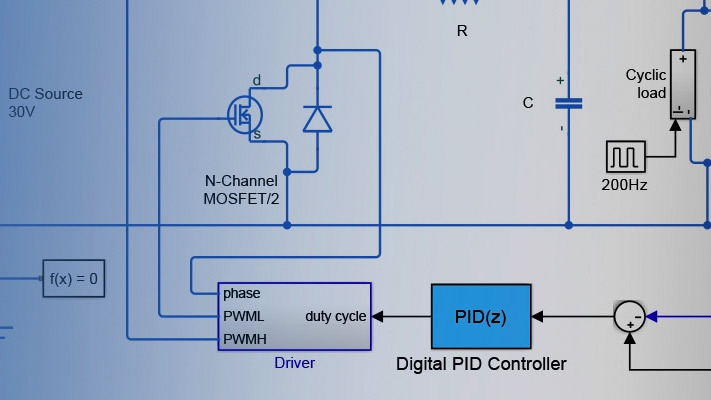 Analysis of Electric Machinery and Drive Systems. Piscatawy, NJ: Wiley-IEEE Press, 2013.